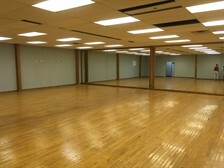 Sadhana USA opens Sadhana Studios at 1275 W 86th Street Indianapolis 46260 (86th and Ditch Rd). The former Greenbriar Athletic Club, now Sadhana Studios, is a 30,000 square foot facility that is looking forward to having its studios filled with active families again. 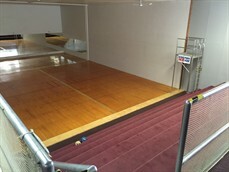 The facility is in need of some updates and enhancements to be ready for the community. The space will greatly expand Sadhana USA programs designed to nurture the body, mind and spirit of children K-12. With fitness studios of all types, space for open play and organized classes, Sadhana Studios will provide a safe place for our youth to experience a wide range of enrichment activities. Community leaders, parents and supporters will attend a fun “carnival” type event on Nov 14th 2015. Each Studio will have adult activities that will bring out the competitor in participants and the cheerleader in spectators. In addition to carnival games, Sadhana Studios Grand Opening Event will offer live music, food, drinks, silent auction items, studio dedication ceremonies and an update from our Founder. As Sadhana approaches its fifth year training the youth living near Washington Township, we still need your help spreading the word about mission and programs. We have discounted the purchase price for guest tickets in hopes that you will bring along parents, community leaders and instructors that may not be aware of our programs. For $15 dollars a ticket, (with your purchase of 2 Member Tickets) you can bring as many adult guests as you would like!